Hal Mosher has been practicing Tai Chi, Bagua and Hsing-i for over 28 years. He began his studies in 1982 with his teacher Robert Smith, who taught him the basics of the Tai Chi form. Hal then moved to San Francisco in 1985 to study with Ben Lo and learn the complex art of two-man practice (Tui Shou, or Push Hands) as well as the standing practice developed to refine the postures. Hal continued his studies while living in Taiwan with his third teacher, Liu Hsi Heng in 1989. (Mr. Liu was offered Cheng Man Ching’s school in 1976, but he decided to teach small groups of worthy students instead.) Hal has returned to Taiwan frequently over the past 21 years to study with many great teachers, including Grandmaster Chen Yun Ching, youngest son of Chen Pan Ling and heir to his father’s martial arts legacy. In 2009, Master Chen invited Hal to take part in a Bai Shi ceremony, where he was officially recognized as the next generation in the lineage of Chen Pan Ling. Hal has learned the forms in a classic and complete manner that he passes on to his students in a way that is rarely done in the West. Hal began his Bagua studies with Robert Smith in Bethesda, Maryland, learning under him for three years. 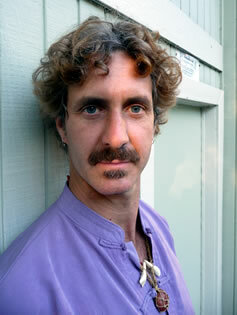 He then began working with Allen Pittman in Atlanta, Georgia to refine aspects of the functions in Bagua and Hsing-i. While living in Taiwan he studied under Mr. Huang and Mr. Jou – learning various forms, from Hsing-I and Bagua to Northern Shaolin boxing and White Crane. Hal has been teaching for over a decade, and the depth and completeness of the forms in their traditional style is the core of his teaching method. He breaks down the forms and their functions in unique ways in order for his students, possessing a wide range of abilities and aptitudes, to gain a clearer understanding of them. His intention is for his students to develop complete body awareness, and, ultimately, a sense of true mindfulness. Hal is also a student of Buddhism, and has had several teachers including His Holiness the Dalai Lama. Buddhist studies have added a wealth of knowledge and insight to his martial arts teaching methods. He incorporates awareness and meditation through movement as a way to pacify the ego and gain happiness. With the understanding that healing is a very important aspect of martial arts, Hal is also a skilled Thai massage practitioner, teaching workshops around the Bay Area and working regularly with his clients. “I wanted to share with you my recent experience with push hands. My old tai chi sparring and training partner was visiting for a couple of days this week. He has always been more disciplined about practicing regularly and was always my senior when it came to push hands. We’ve always been pretty equal when it comes to free sparring though. So I guess I’ve been investing in loss because I have barely trained at all since moving to the east bay and I’ve lost a lot of physical fitness and flexibility along the way. But when I pushed with my buddy the other day I was consistently in control and had the upper hand nearly the whole time! I focused entirely on what you taught me: sinking to neutralize and turning to redirect force. I didn’t get caught in my shoulders nearly as much and it seemed very easy to sense where he was directing his energy. It gave me more range in that he had trouble finding a spot where I didn’t have an escape. I noticed that while I was very relaxed he was having to exert himself quite a bit and breathing a little heavily. There were even a few perfect moments where I felt like I was just standing there and he was using me to throw himself! That was a pretty cool sensation. The clear separation of full and empty, combined with sinking and turning helped keep me from just retreating. All I had to do was be a good door, stay centered on my pivot points and solid (inner connected) so that when he pushed on one side he pushed himself on the other side through me. I really do want to start practicing again for my health, but I’m amazed by how much progress I make when I don’t train at all! What a trip!